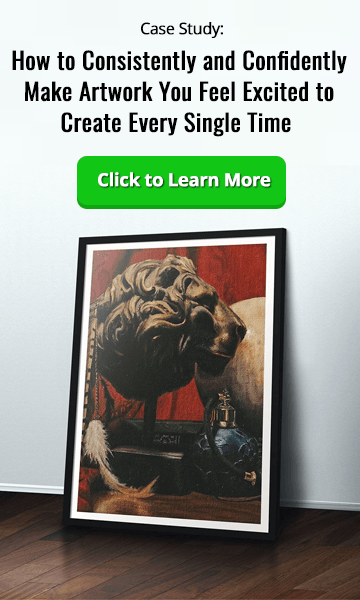 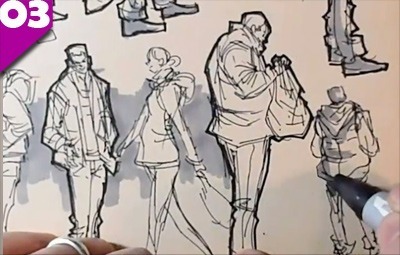 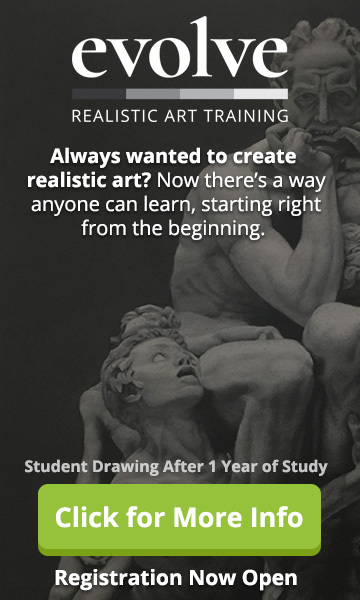 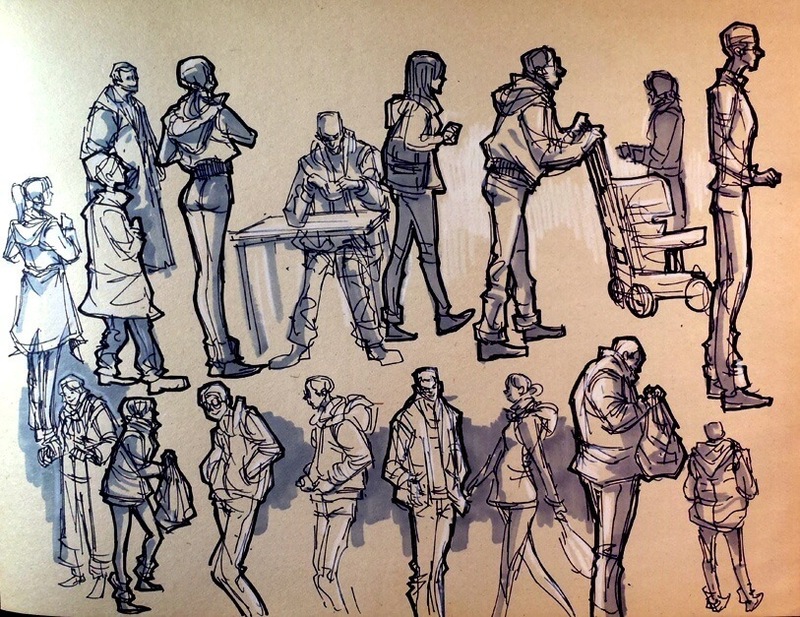 When learning how to sketch quickly, target the main focal point of your subject. 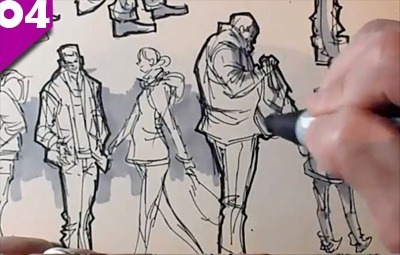 In this case, it is the two bodies outlines along with the main contours and folds of their clothing and the jacket that is being held. 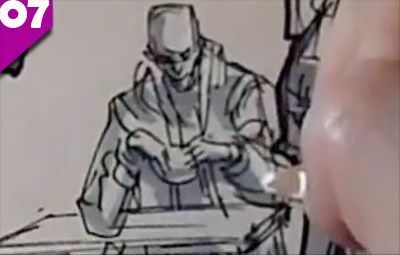 The line work in this scene is even less but you can see how little is required to get an idea across.As mentioned, the sketch was originally used to store information for a bigger,more complex medium. 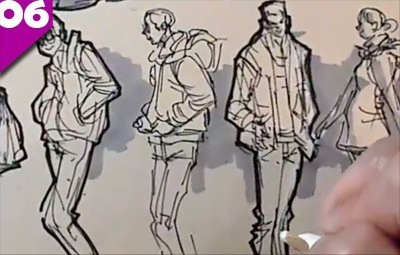 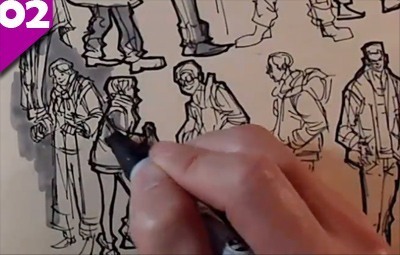 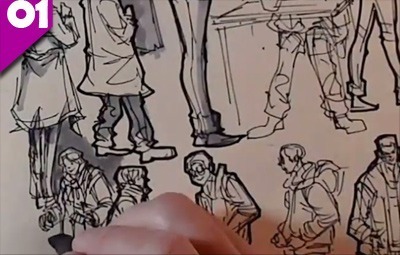 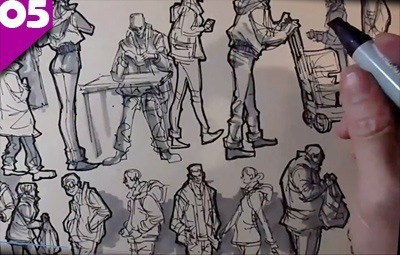 Thank you so much for watching this series on how to sketch quickly. 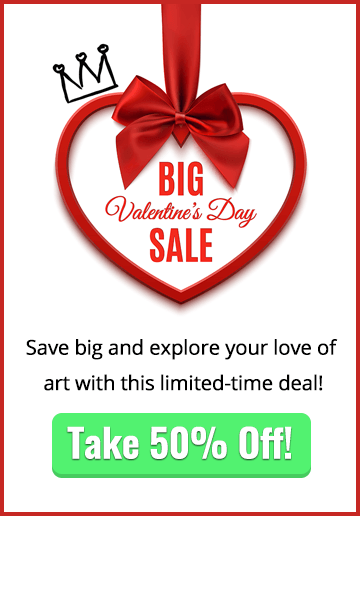 Please comment below if you’d like to see more!